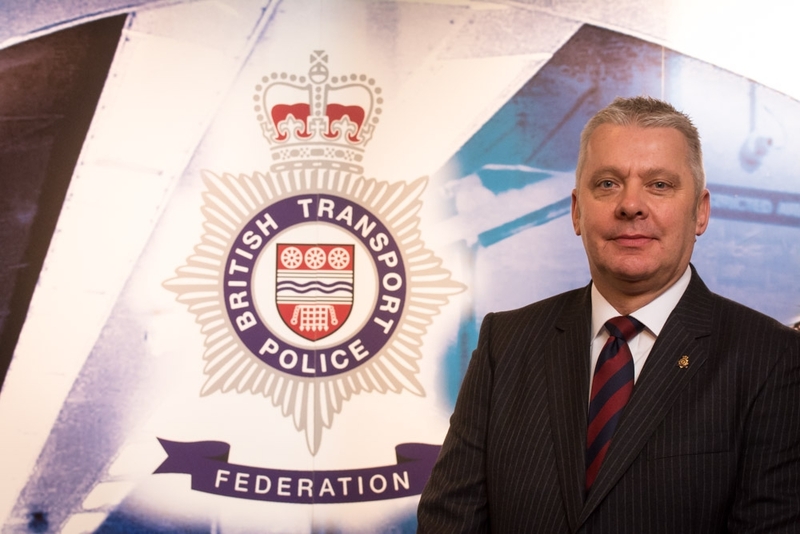 Here is your monthly blog for August, with updates on what the BTP Federation National Executive is involved with on your behalf. It has been a very busy month and this post will hopefully give you an insight into what exactly we have been doing. Last month we met with the Scottish Police Federation to explain and discuss what our members expect post-integration, and how they can assist with any future transition. This was a very productive meeting and I thank our colleagues in SPF for their hospitality. We intend to have regular monthly meetings from now on to assist each other with the various issues arising from the integration. This will not be an easy task, but one that ultimately needs to be addressed so both the BTP Federation and the Scottish Police Federation are well prepared to provide accurate and impartial representation to our members before, during and after the integration. We intend to meet again in the first week of September with the objective of forming a working party including Federation representatives from D Division. At the future meetings we will discuss T&C's and pay and pensions, drawing comparisons to identify any differences and any potential areas that fall within the 'no detriment' definition. We will also compare membership of each staff association and the difficulties that may be encountered by our members with their current employment status. This will assist both parties in understanding any potential complications once we know and have received confirmed proposals set out by the Joint Program Boards and/or the Scottish Government. Our General Secretary Darren Townsend has since met with senior Civil Servants from the Scottish Government (SG) and this too was a very productive meeting. He received updates on the Joint Program Boards work streams, and while there is still very little detail or any confirmed proposals on the table as of yet but there is an acknowledgement that the level of uncertainty is unacceptable. We have received reassurances that more regular updates will be received and there will be more routine meetings between BTPF and the Joint Program Boards/Scottish Government. Additionally, to assist members there will be a joint Q&A circulated and updated at regular intervals once decisions start to filter through. You may have also seen the recent press attention from the Scotsman and the FOI request responses published by the Scottish Government. Despite there having been some very important meetings held recently, you no information about any decisions made since January 2017 have been published. BTP Federation will be seeking an explanation and we will invite the SG civil servants to share such without the need for a FOI application. I am reassured by Darren that the civil servants have indicated their intention to be more inclusive and I hope they stick to their promise to engage more and provide the detail you need. Finally, Mike McEwan the Area Secretary for D Division has written personally to the Chief Executive of BTPA who has responded with an invitation to meet with Mike and his Federation committee to discuss the implications of the integration. Charlotte Vitty BTPA is also intending to visit police stations in Scotland to discuss the concerns of the work force and ACC Higgins from Police Scotland is also conducting three open sessions with officers and staff of BTP to hopefully allay concerns. We would encourage all BTP Scotland officers to attend and speak with both Charlotte Vitty and ACC Higgins; I hope both will provide you with the reassurances that you seek and clarity around proposals for the future. We will continue to keep you all updated once we receive any information regarding pay, pensions and T&C's. As I have mentioned previously, the Chief Constable has committed to a fortnightly meeting with the Federation and the DRD team to review and reduce the practice of cancelling officers rest days and making last minute shift changes. These meetings continue and the next is planned for 1 September 2017. We are reassured that the Chief Constable is addressing the concerns that we have raised on your behalf and it is his intention to reduce the number of RD cancellations especially at weekends. Nonetheless there is no quick fix to the problem; and we invite you to keep providing any examples of poor practice. I reassure you that we will continue to support you and challenge the Force on any breaches of regulations or the working time directive. That said I am disappointed to have received feedback about the advice the Federation is providing especially with regards to 12-hour night shifts. So I will clarify this point and encourage you all to support and follow the advice given. Clearly, rosters are always subjective; one roster does not suit everyone and what one person likes, another won't. Although the Federation can provide guidance on Police Regulations, working time agreements and the Working Time Directive, It cannot show favour or recommend a preferred roster. Under the Working Time Regulations 1998, Regulation 6 states that the normal hours of night workers are restricted to 8 hours in any 24-hour period. The 8-hour cap can be varied by a collective agreement called a Working Time Agreement. The Force simply cannot impose a variation, which results in the rostering of more than 8-hour nights; there has to be an agreement with the BTP Federation. The last agreement with both parties allowed for officers to be rostered 12-hour nights. This was signed and agreed by my predecessors in the Federation. Nevertheless whilst dealing with a number of legacy issues over the last 18 months we discovered that this agreement had actually expired. The Working Time Regulations only allow for an agreement between the two parties to last for 5 years or less. In the absence of such an agreement BTP have no choice but to then rely on the Working Time Regulations. So in truth, officers could have refused to be rostered anything more than 8 hours as per the Regulations. What many have highlighted is that if you were only able to roster for 8 hours operationally this would have a detrimental impact on operations. In the circumstances we have proactively attempted to re-negotiate a new Working Time Agreement with the Force. This draft agreement, which is not yet signed off, proposes allowing for a maximum of 10 hours rostering on nights and not 12 hours. Rostering 12-hour nights is unacceptable and there is a mountain of evidence supporting this principle. For the welfare of our members BTP Federation cannot endorse the practice of anyone being rostered more than 10-hour night shifts and under the Working Time Regulations these rights are enforceable under the Employment Tribunals Act 1996. This advice or a signed agreement does not prevent individual officers who wish to volunteer to work 12-hour nights from doing so. What it does prevent is the Force being able to routinely roster officers 12-hour night shifts as per Working Time Regulations. This is a common-sense approach and one that offers protection for the majority of officers. Despite the efforts of the Chief Constable to reduce the amount of RD cancellations, it is being suggested in some quarters that rostering officers 12-hour shift patterns including nights will reduce the number of cancelled rest days. The reality is that there are still examples of officers being expected to work on occasions eight x 12-hour night shifts, then only having only one rest day (which in the main is a day of sleep) to return to work 24 hours later to be informed that their next weekend off is cancelled and their early/late shift is yet again a night shift as there is only one officer on duty. This is just one true example and there are many more. These poor practices cannot be sustained. If the Force wishes to roster officers on 12-hour shifts I would expect it to occur when operationally we are at a state of 'critical', not simply for everyday policing. This Force is not at critical and therefore should not be routinely rostering 12-hour shifts. This months National Negotiating Meeting resulted in us still being in dispute regarding the overnight allowance. The Federation believes the Force appears to be trying to re-write the rules on overnight allowance to make its application more difficult. The Force is insisting that payment will only occur if officers are being held in reserve and there is a difference of opinion as to the interpretation of being held in reserve. I shall simply repeat my advice from last month: you cannot be forced to stay away from your home, and if you are ordered to do so then you are entitled to the allowance. To move this forward the DCC has identified a number of actions for HR to explore before allowing the Chief Officer group to determine which operations will trigger overnight allowance past and present since 2015. Once a decision is made the COG will inform the Federation. I am very disappointed to report that the Force have informed us that they will no longer fund a full time Federation representative in the role of Treasurer. Your Federation has three full time National Officers, the Chairman, Secretary and Treasurer and these 3 posts have been in place for over 50 years. They have the responsibility of running the Federation, representing over 2,700 members at a national level, providing support to officers over conduct, performance, attendance and welfare, whilst managing finances, legal cost, insurances and meeting and working with other stakeholders across the entire country. We are now instructed that the funding is being removed at the end of October leaving potentially only two full time national officers to complete this task. I find this decision ironic given our role of providing welfare support for rank and file officers. What message does this give about how seriously the Force takes welfare and wellbeing? One of the reasons given for the decision is to assist in finding £39 million efficiencies over the next 3 years. Again this rationale is ironic. BTP has a Chief Constable, a DCC, three ACC's, three Divisional Commanders plus many others. To support the top tier of management there are in the region of eight staff officers from the rank of Police Sergeant to Police Inspector. I am not for one moment decrying the excellent work these officers do for the Force and the value they add, however their role and that of many others at FHQ is to support the senior management. Yet the Force is suggesting that the Federation can operate with only two full time executive roles. The Force suggests that removing the funding of the Treasurer will assist in meeting the required efficiencies but do not appear see the impact on or potential damage that it will cause to members. Only two full time national officers providing support to 2700+ members on the front line of policing, yet eight full time police officers in company with many others, continue to support the senior management. The rationale does not stack up. Clearly we will be challenging this decision through the machinery of negotiation and taking it up with BTPA. I hope that common sense prevails and for the sake of one officer's salary the Force reflect and see the benefits of supporting their staff associations rather than yet again impacting on the welfare of front line officers and attempting to undermine the task of those that support the majority. Other topics covered during the NNM were Inspectors TOIL (Managed Time) which will now fall in line with PC and PS policy of 3 months - not 30 days as previously instructed. In respect of Brexit, the Force is awaiting guidance from Government departments. Lastly Probationer Allowances and Intake 30 Pension scheme are two topics that need further clarification and information and will remain on the agenda. Looking towards September we have further meetings with the Scottish Police Federation and Scottish Government civil servants. We have more DRD roster meetings with the Chief Constable, I have my Bi monthly meeting with ACC Smith, a meeting with BTPA Chief Executive, a Pensions Management meeting and we will commence planning for our conference for next year. Finally next month we will be inviting force-wide nominations for the Federation Awards of Excellence 2018 and we will be posting a nomination form on the Federation website in the very near future. More detail will follow but please start thinking about who you would like to be recognised for their excellent work then help us identify those deserving of an award. "When something is important enough, you do it even if the odds are not in your favour".